Nothing calls like the siren song of silk lace. 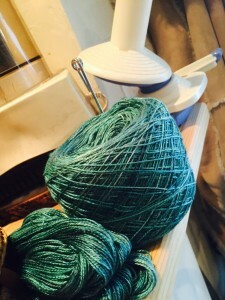 Never mind that I have never successfully knitted a lace project – this yarn is just so luscious that you have to have it in your hands. Also – winding this yarn is a challenge and I’ll be posting a video in that shortly – there are tricks to use to prevent this from becoming a disaster.